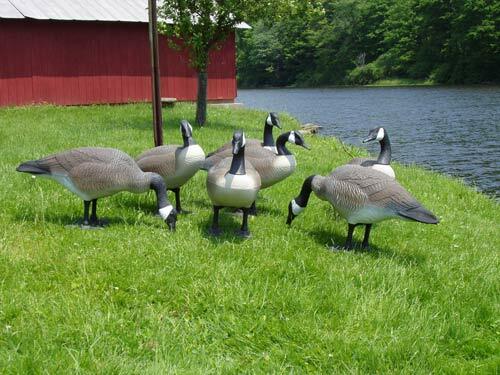 Life-sized, American-made goose decoys from Donna's make excellent lawn ornaments. They capture the look of a live goose without the mess. 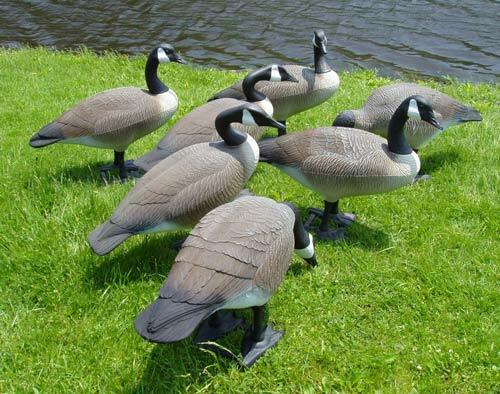 These molded decoys are designed to withstand the harsh elements and while providing an unusual decoration for your lawn. The decoy heads are flocked to provide a life-like appearance. 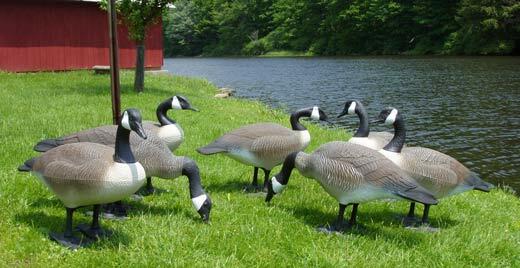 Geese decoys make great gifts! Questions? Contact Donna's at (570) 363-2263 e-mail at duaneNOSPAM@donnaslawnornaments.com. All prices include FREE SHIPPING to your door via Parcel Post within the Continental U.S.!